This one day class gives students great short cuts in creating a gorgeous baby size quilt top in one day! This class is suitable for intermediate level quilters. Some pre-class preparation makes a completed quilt top realistic for the motivated student. Students will gain accurate piecing instructions and will leave with a well advance or near completed 39” x 30” quilt top. This little quilt may be used for My Bargello Briefcase™. 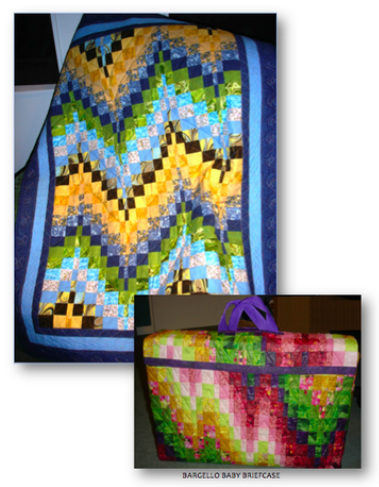 Pattern for My Bargello Briefcase™ are included as part of the class notes. Students planning to use this quilt for the briefcase will need further fabric requirement list.